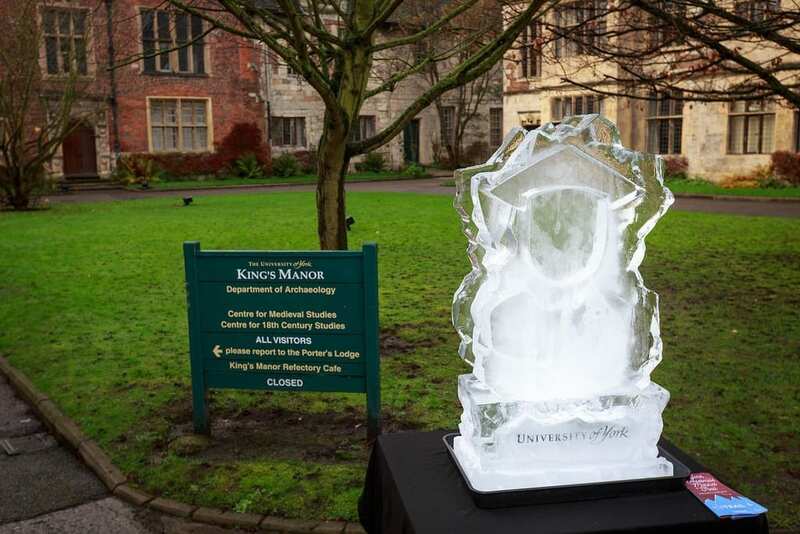 Glacial Art will be attending the York Ice Trail once again in 2016, this time contributing a huge 35 sculptures each day. 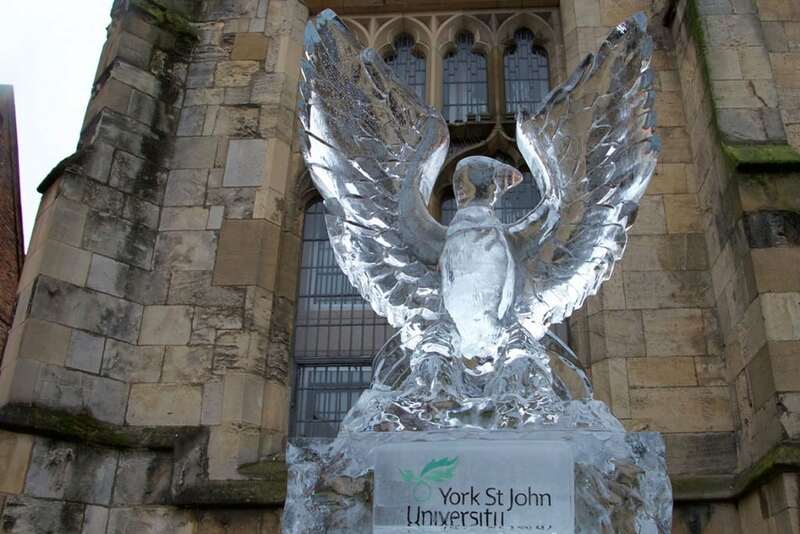 Come and see us on the 10th & 11th December in the stunning York City Centre for live ice sculpting action and to browse a huge range of sculptures! Each year, the small city of York is set upon by tourists from all around the world. It makes the perfect location for a winter celebration, thanks to its idyllic streets and beautiful atmosphere. 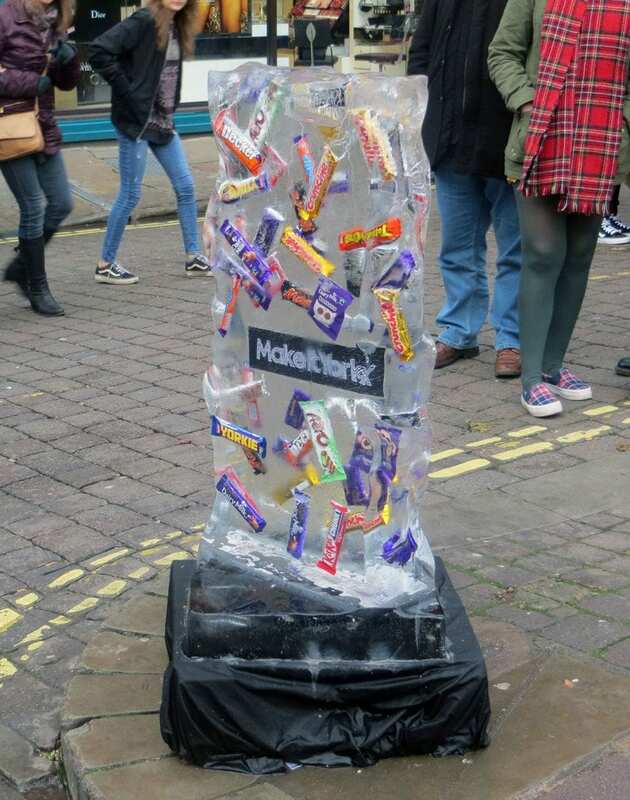 For three years in a row now, Glacial Art have been invited to display their sculptures – however this was the first year in which the entire display rested solely on their shoulders. 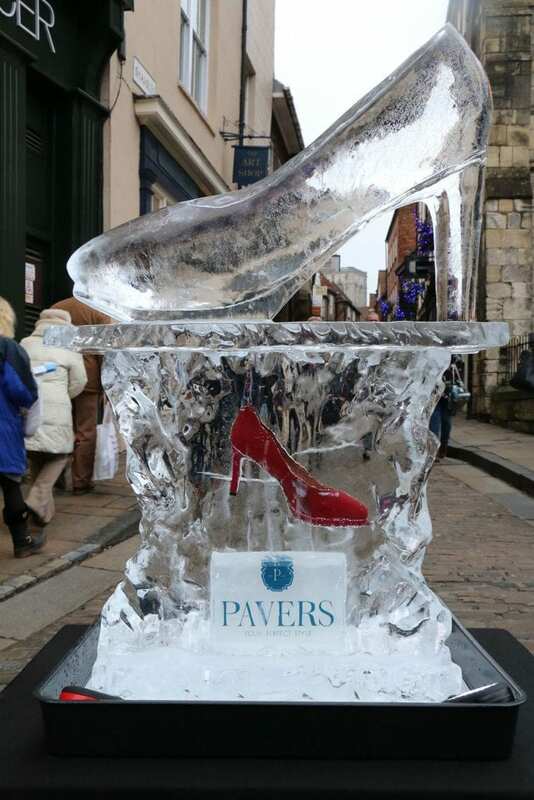 This is how they got on at the magical York Ice Trail 2015. 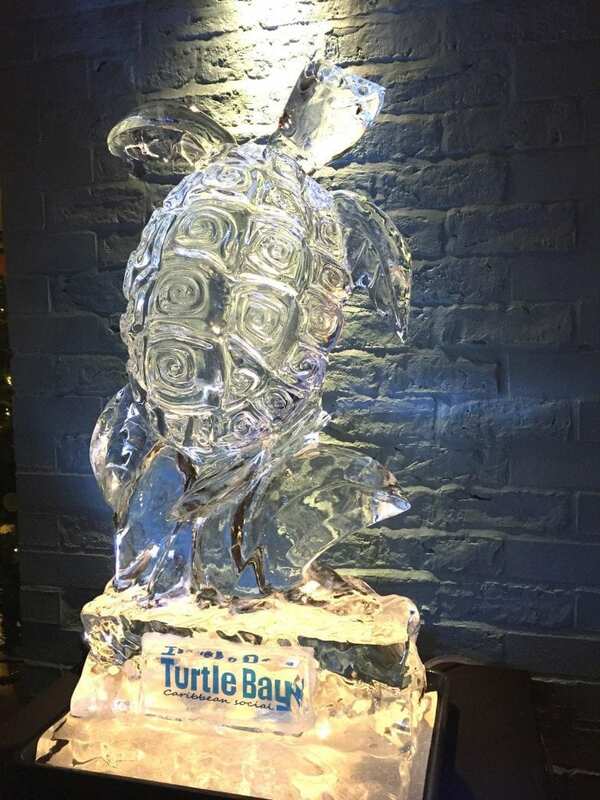 Each business in the city sponsored their own ice sculpture, and chose the subject for their pieces. For some they were straightforward representations of their company or landmark – a knight for the iconic Clifford’s Tower, or a giant teapot for the famous Betty’s Tea Shop. 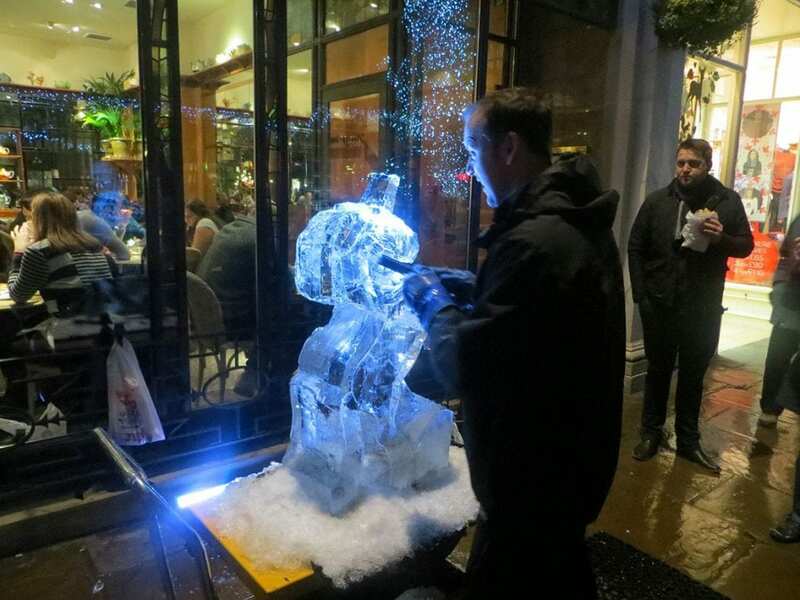 Others chose slightly more unusual subjects, with some letting the Glacial Art team guide them toward a design. 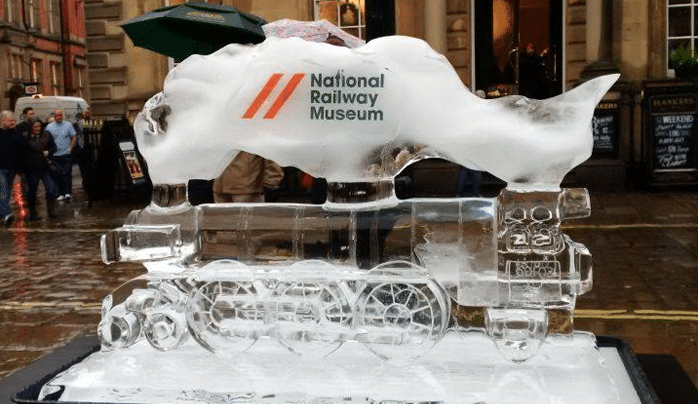 Easily the most difficult piece to construct was the National Railway Museum’s Flying Scotsman, an ice advertisement for their current exhibit based around the train. Although the team have worked on steam train sculptures in the past, they’ve usually ended up being a huge amount of work – luckily, the Museum got their request in early which gave them plenty of time to work on something really impressive. 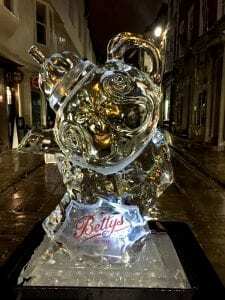 “Basically, we just love making the very best ice sculptures we can!” And it looks fantastic, complete with a foggy cloud of steam coming from the top. One business asked the Glacial Art team what they would like to sculpt, if anything – amid the buzz of the new film, and being geeks themselves, they asked for something Star Wars related. 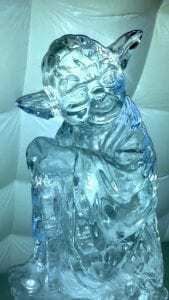 “The client went away and came back to us asking for a Yoda ice sculpture, and the final sculpture turned out better than we hoped for.” This and the Mad Hatter sculpture were some of the team’s favourite character sculptures of the weekend, although their version of Aslan for the Central Library was also a triumph. And of course in the UK, the weather is always against the ice sculptor. Whether it’s warm, windy or wet, the ice will melt faster than if it was simply cold. But isn’t their transience what makes ice sculptures so incredible? Mat certainly seems to think so, and enjoys watching the transformation throughout the day from highly detailed sculptures to melted, abstract versions of their former selves. “I find them more beautiful at the end of the day than at the beginning,” he says. “They are like ghosts of sculptures past”. 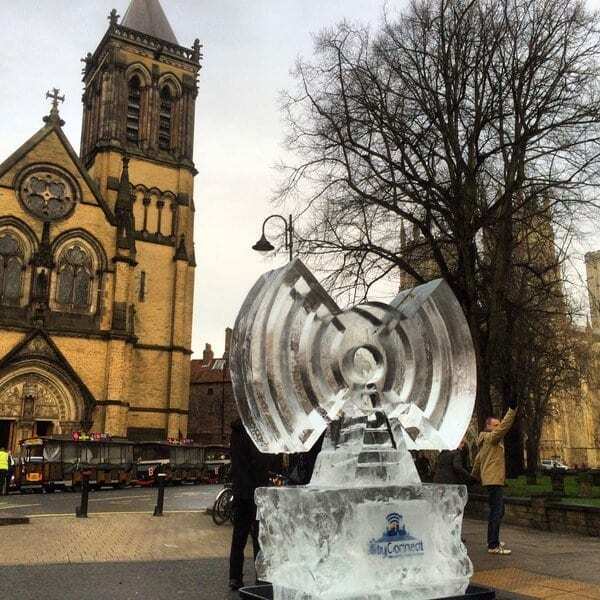 To see this process in reverse you only need to watch the Glacial Art team working on their live ice sculpting, which they did twice over the weekend. After nearly ten years of business, the live sculpting has become less and less nerve-wracking and more enjoyable for them – of course it helps that even the simplest pieces to carve look impressive to those watching. “It’s actually an absolute pleasure not to be working in a freezer!” Mat points out. 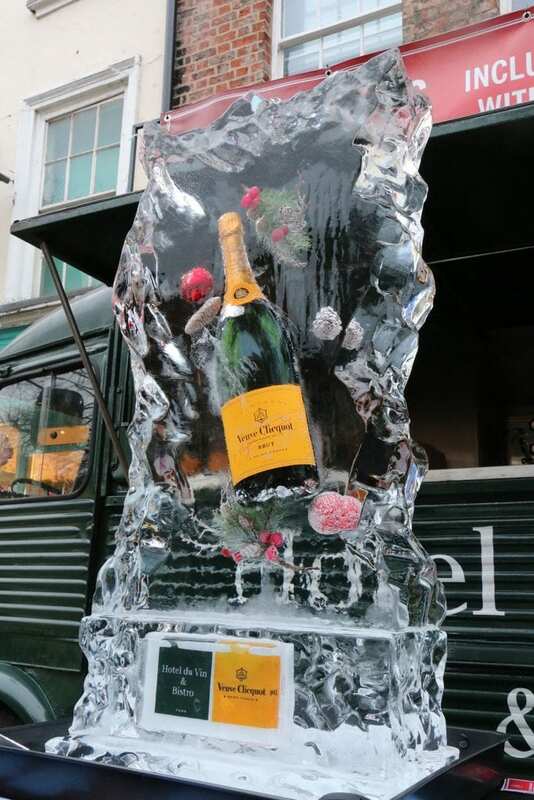 Adults and children love watching, but especially the children – “Kids go absolutely bonkers for ice sculptures”. 2016 should be Glacial Art’s fourth year showcasing their work in York, and they’ve already begun discussions with Make It York, the company behind the festival. York is a beautiful city, as anyone who has been there will attest, but it’s really the community that makes the event so special. 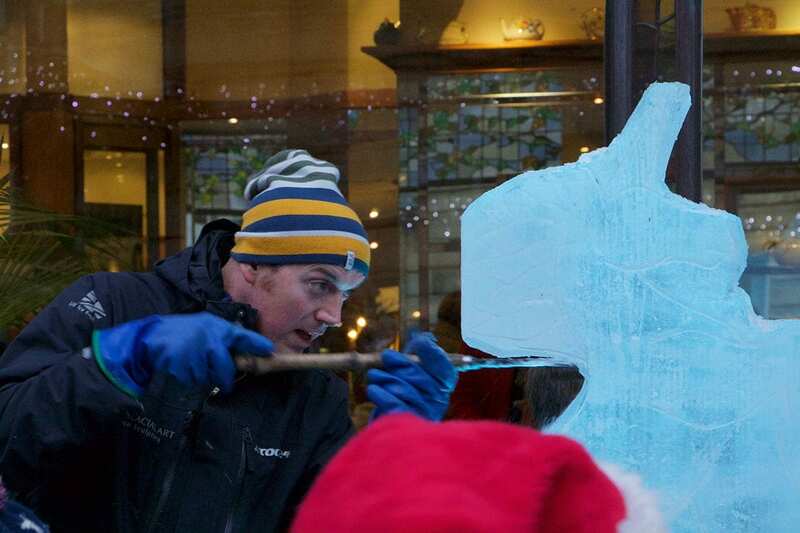 “The people of the city are all so friendly…we are always made to feel so welcome, and their enthusiasm for the ice festival is overwhelming,” says Mat. 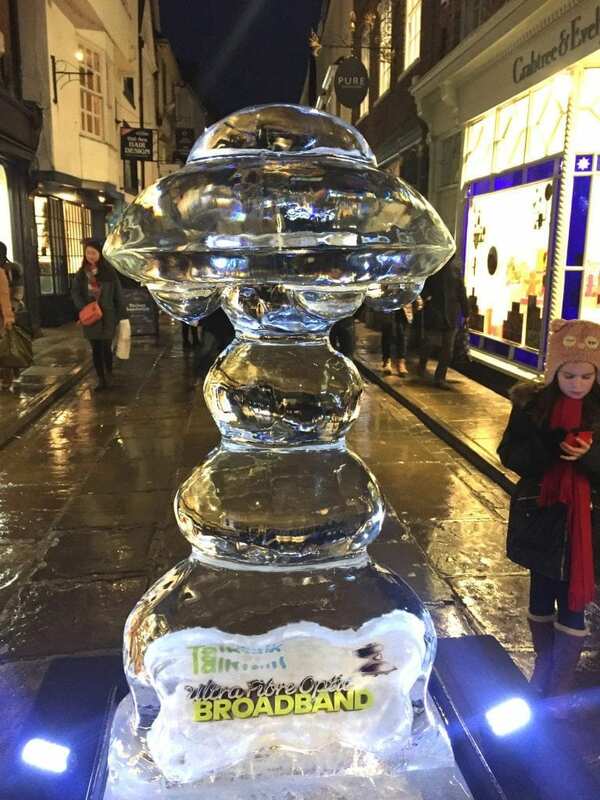 For anyone who hasn’t visited York’s fabulous winter celebrations, the ice sculptures are just one wonderful piece of the whole event. 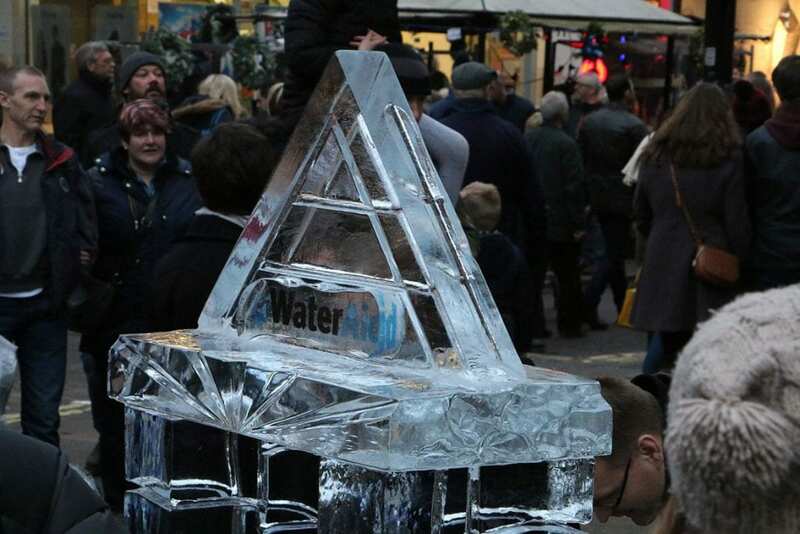 There is also live music, the St Nicholas Christmas Market – which stretches further and further with every year – other pop-up markets around the city, and the Ice Factor Winter Wonderland skating rink. Keep an eye out on our social media for updates about dates for this year’s festival – it’s a fantastic weekend for anyone.